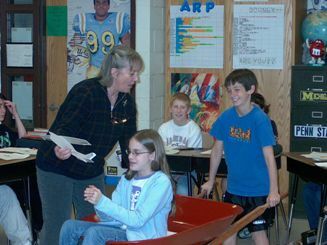 September, 2011 – “Aviation-Themed Workshop Fosters New Learning” article in the Atlantic Flyer newspaper. Click here to view the article. August, 2011 – Featured article in the September/October 2011 issue of Aviation for Women magazine. Click here to view the article. July 7, 2011 – Rutgers’ new source “Focus” featured an article on the Leaders Take Flight® workshop, click here to view the article. 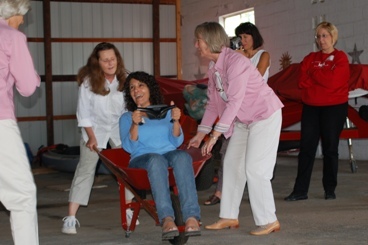 June, 2011 – “Alexandria Field Airport Puts Female Teachers in the Air With Grant” article published in the Express Times, click here to view the article. May 17, 2011 – Aero News feature on the GAMTTEP grant. 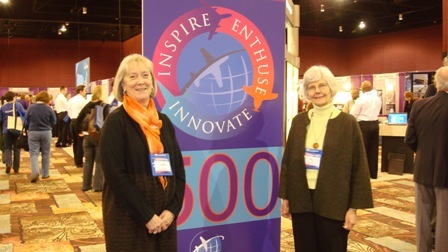 Interviews with Linda Castner and Sue Stafford at the WAI conference are below. 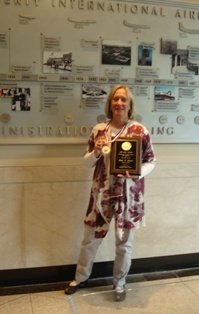 2011 Mid-Atlantic Aviation Coalition Award presented for Innovations in Aviation Education and Contributions to New Jersey Aviation awarded to GAMTTEP Program Direction, Linda F. Castner. Twelve teachers responsible for instruction in science, technology, engineering, and mathematics (STEM) related subjects are on the cutting edge of leadership development by stepping out of their normal routines and into the cockpit of an airplane with the Leaders Take Flight® workshop. This educational adventure will take place on Friday, June 24 and Saturday, June 25 at Alexandria Field in Hunterdon County, New Jersey. Participants represent schools from throughout the region that include Rutgers University, Hunterdon Central Regional High School, Raritan Valley Community College, Hunterdon County Polytech, Delaware Valley Regional High School and Alexandria Township Middle School. The Leaders Take Flight® workshops are one component of a demonstration project that expands the role of a general aviation airport, Alexandria Field, as an educational resource and living laboratory in the community. This aviation-education collaborative was recognized by the US Department of Transportation (USDOT) in September 2010, and awarded a Garrett A. Morgan Technology and Transportation Education Program (GAMTTEP) grant of $100,000. The grant, along with numerous in-kind resources from the local community is funding over 20 educational programs, including two Take Flight® workshops. The June event is for teachers and another is scheduled in August for young women students from local high schools. During this two-day intensive program, twelve female teachers will delve into management development using flight. Through a carefully designed series of experiential learning exercises, the airplane and its related activities serve as metaphors for successful leadership behaviors that can be used in everyday challenges. This new, 360 degree perspective, allows participants to take note of routine responses and interpretations that limit their performance and effectiveness, and to realize new, creative solutions for leading their classrooms and their personal lives. Because all of the participants are educators of some kind, there is an emphasis on spreading the knowledge learned during these two days to their students and using the skills obtained to influence a younger generation of women to “take flight” themselves, in whatever they wish to pursue. Marianne Baricevic, a teacher and supervisor at Raritan Valley Community College described her expectations: that attending the Leaders Take Flight® workshop will enlighten her on how she can lead a group of very intelligent, headstrong and creative group of instructors to benefit the people they work for: their students. The workshop will unfold in three dimensions. It will provide the flying experience itself, an analysis of the experience as it unfolds, and a capitalization on the effects of the adrenaline rush and the high-pressure situation. The workshop is comprised of classroom instruction and experiential activities, including two hours of flight instruction and one hour of ground instruction with a typical training aircraft. Workshop facilitators include Dr. Sue Stafford of Simmons College and Linda Castner of Alexandria Field as ground facilitators. Rich Stowell, an internationally recognized flight instructor from Santa Paula, California, Sarah Brooks, a flight instructor at Auburn University, and Andy Phillips, a flight instructor at Alexandria Field, as the flight facilitators. Past participants in the workshops have provided women in a variety of roles, businesswomen, busy mothers, teenagers interested in STEM, and the teachers that educate them, to learn and enhance leadership traits, confidence, adaptability, and teamwork. Please click on the link above for the PDF version of article about the March 30, 2011 GAMTTEP trip to the FAA Technical Center. 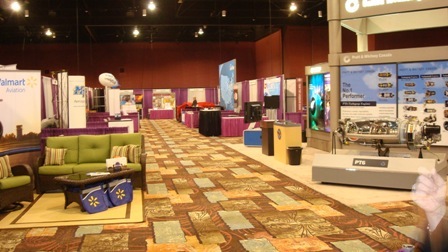 Reno, NV – Leaders of a business-education partnership in Central New Jersey are participating in the 22 nd Annual International Women in Aviation Conference, and showcasing a comprehensive, community-based approach to stimulating and sustaining interest in STEM (Science Technology Engineering and Math) through the lens of aviation. Since the September 2010 award of a $100,000 Department of Transportation (DOT) Garrett A. Morgan Technology and Transportation Education Program (GAMTTEP) grant, this Central Jersey collaborative has made significant progress in demonstrating how a local airport can be transformed into a “Living Laboratory” by partnering with a local school districts and creating a strong aviation ecosystem to introduce, educate and guide young people to STEM related careers in aviation. 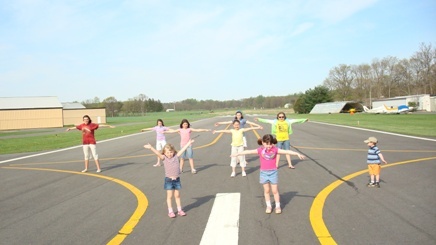 It seems fitting that we showcase the Central Jersey GAMTTEP program at Women in Aviation,” said Program Director Linda Fritsche Castner, part-owner/operator of Alexandria Field Airport (N85) in Pittstown, NJ. “I’ve always wanted our airport to be a place that brought out the best in people, especially young women. 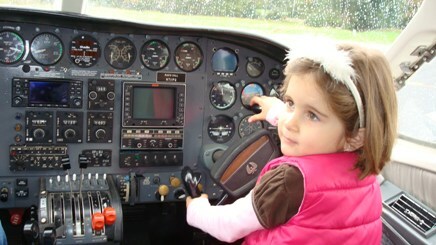 We operate a flight school and it was over ten years ago that I asked the question, ‘why don’t more women learn to fly’? The project was kicked into a formal research mode in 2003 and included another WAI member, Dr. Sue Stafford, professor at Simmons College, aircraft owner and instrument rated pilot. After seven years of formal research, design, demonstration and documentation, the effort resulted in the development of the “Women Take Flight®” and “Leaders Take Flight®” workshops. The results were impressive. “Dr. Stafford and I also realized that the power of these workshops was in documenting what we call The Flying EffectT. “What we are hoping to do with the Garrett Morgan grant”, says Stafford, “is to bring the Take Flight workshop experience and The Flying EffectT to teachers and students of STEM and demonstrate how an aviation based program can inspire confidence, adaptability and collaboration – important leadership traits necessary to successfully complete a demanding STEM education and improve teaching in the classroom. “Once we launched the GAMTTEP program in the fall 2010, we started to get inquiries from other general aviation airports and from universities, such as Rutgers, who see the potential of this workshop in building leadership and confidence amongst faculty and incoming students pursuing STEM careers,” said Castner. Faculty from Rutgers will be participating in the Leaders Take Flight workshop this summer. “Another example”, said Castner “is Johnson & Johnson’s Women in Science and Engineering (WISE). 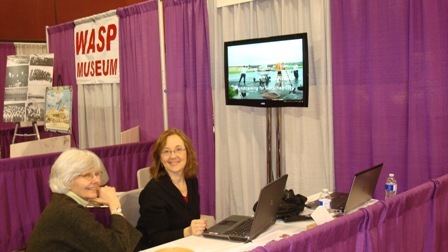 Central Jersey GAMTTEP will be partnering with WISE in May 2011 for a STEM Exploration Day. “Alexandria Field has always been part of the community”, says Ms. Castner, “but we realized that to generate interest in aviation that we needed a comprehensive program that reached out to multiple age groups and provided a variety of sustainable activities to mentor student interests over time. Programs funded by the DOT grant include the Aviation Science Club, Engineering Tours and Education, extensive outreach to community groups, Aviation Science Camps, internships and job shadowing and two “Take Flight®” workshops. There are nearly 20,000 airports throughout the U.S. and include over 1,100 airports like Alexandria Field, privately owned, but open to the public. Combine this with over 15,000 K-12 school districts, an estimated 1.7 million K-12 STEM educators, a increased focus on STEM in higher education, and a host of exciting programs that need a “Living Laboratory” to call home. Legitimate representatives of the media are welcome to use photos and other material from these websites. In October 2010, a New Jersey based business-education partnership announced the award of a DOT Garrett A. Morgan Technology and Transportation Education Program (GAMTTEP) grant to Hunterdon Central Regional High School (HCRHS), its sending districts, Alexandria Field Airport, and the developers of Leaders Take Flight® and Women Take Flight® workshops, Linda Castner and Dr. Sue Stafford. Organizers have wasted no time in getting started. Program Director: Ms. Castner and a team from Hunterdon Central and Delaware Valley Regional High School (DVRHS), FAA, Rutgers University, Alexandria Field Airport and local businesses organized an all-day event on November 13, 2010 that attracted over 300 people. The purpose was to “kick-off” the GAMTTEP collaborative and inform prospective participants of the mission, the program and the next steps. Creativity, inspiration and passion for aviation were themes demonstrated throughout the day, from theatrical reenactments of moments in aviation history, personal stories from men and women representing a variety of careers in aviation and aerospace, including Cheryl O’Brien, a Vice President with Federal Express and Lehigh University Professor Terry Hart, a former NASA Space Shuttle astronaut. Blue skies served as a backdrop to fly-bys over the high-school with live-audio narration from the cockpits, and an afternoon open house at Alexandria Field. “Our objective is to stimulate interest in STEM (Science Technology Engineering and Math) through the lens of aviation,” said Superintendent Dr. Lisa Brady, as she greeted parents, students, educators, industry leaders and members of the community at HCRHS for the morning session of the kick-off event. “We are offering Alexandria Field as the “Living Laboratory”, said Castner’s brother Bill Fritsche, a former TWA Captain, 30,000 hour pilot and co-owner of the airport. Mr. Fritsche described GAMTTEP Engineering Tours inspired by his family’s nearly 70 year effort in building, developing and operating Alexandria Field. The engineering curriculum is supported by faculty from the engineering school at Rutgers, one of the GAMTTEP partners, and engineers who are also Alexandria based pilots. Educators from participating K-12 schools outlined how an aviation-themed program is going to enhance STEM education in classrooms. Jim Gessner, a chemistry teacher from DVRHS, shared his “views from the office” as a former captain flying an MD-80. Gessner talked about incorporating aviation as part of the classroom curriculum, long term, at multiple grade levels. He also introduced how aviation library collections had been started through the DOT grant at both DVRHS and HCRHS. Sharon Klamik, an educator from the Milford YMCA, encouraged school class tours of Alexandria Field. “The children who come to the airport today may be the future of aviation,” said Sharon, as pre-school students enthusiastically demonstrated on stage how they love aviation-themed play. Ken Micai, Chair of the Science Department at HCRHS, described the early college credit programs provided by Raritan Valley Community College (RVCC), for which the GAMTTEP grant is providing two scholarships. Jay Kreisman, science instructor at HCRHS, emphasized statistics about STEM’s contribution to the economy and bright future for employment. “Aviation is the perfect intersection of the STEM disciplines,” said Kreisman, who developed an Aviation Science course. It is anticipated that the relationship with Alexandria Field and outreach to elementary schools will stimulate interest in aviation, meteorology and other new course content throughout Hunterdon County schools. High school students described to their peers how the classroom programs would be supplemented with hands-on extra-curricular activities such as summer camps at Alexandria Field, and through activities of the Aviation Science Club, including experimental aircraft building, flying lessons, internships, lectures and field trips. Presenters extended invitations for corporations, local businesses, clubs and others to participate in the programs, and highlighted opportunities for individuals to volunteer. Some of the most popular presentations were made by parents of children pursuing aviation careers. “How many of you have ‘Fear’, ‘Uncertainty’ and ‘Doubt’ about aviation?” A question posed to the audience by a father of daughter, Blake, who was interested in flying at age nine. “In our family, we called it FUD, the elephant in the room. In the process of Blake’s learning to fly, we learned how to ‘shrink the elephant’.” Blake (now attending an Aviation program at Auburn University), also inspired her mother. Both Blake and mom earned their private pilot certificates at Alexandria Field. Patricia Watts, Program Director for the FAA Centers of Excellence, congratulated the Central Jersey Collaborative on the GAMMTEP award, “one of only 10 given each year to high schools by the Secretary of Transportation”. Ms. Watts also described the many prestigious and exciting FAA laboratories students from DVRHS and HCRHS will visit at the FAA Technical Center, located in Southern New Jersey. Congratulations were also conveyed reading correspondence from NJ State Governor Chris Christie, U.S. Congressman Leonard Lance, NJ State Senator Diane Allen, and actor/pilot John Travolta. Sue described Rutgers’ commitment to supporting women pursuing STEM careers and their involvement in the GAMMTEP program, where Rutgers faculty will be participating in the Leaders Take Flight® workshops. A few hundred people spent the afternoon at Alexandria Field and enjoyed talking with the owners and pilots of 42 airplanes, one hot air balloon, and three helicopters. Excitement motivated nearly 20 “introductory flights” provided by the flight school at Alexandria Field and through the Experimental Aircraft Association (EAA) Young Eagles program. Attendee feedback collected via post-event surveys revealed that the majority of people were inspired by the GAMMTEP kick-off program to consider flight training and/or to support student interests in STEM careers. Ms. Castner reported that media attention has generated interest from other privately owned, public use airports. Representatives from STEM programs focused on women and minorities have also called to express interest in learning about the program and how this business-education model can be replicated in their community, coincidentally one of DOT’s goals for GAMMTEP programs. “This collaboration between the airport, the schools, FAA, and local businesses presents a great opportunity for involvement by a broad spectrum of the aviation industry”, said Castner. “Potential corporate sponsors have starting expressing interest and there are many opportunities, both large and small, to get involved.” Support from the private sector and philanthropic community will be used to strengthen outreach and the hands-on activities at Alexandria Field, demonstrating how an airport serves as a focal point for STEM related programs. For further information on how to get involved, please contact Linda Castner, Program Director, upupaway@embarqmail.com (908.735.0870). Flemington, N.J – – A business education partnership in Hunterdon County, New Jersey, has been awarded a $100,000, U.S. Department of Transportation (DOT) grant for using innovative aviation education programs as a tool for igniting a passion for Science Technology Engineering and Math (STEM). “Preparing today’s youth to become tomorrow’s transportation professionals ” is the mission of the DOT Garrett A. Morgan Technology and Transportation Education Program (GAMTTEP) grant, provided through the Federal Highway Administration, in collaboration with the Federal Aviation Administration (FAA) Air Transportation Centers of Excellence. This New Jersey-based STEM collaborative was initiated by local business leaders from Alexandria Field Airport and includes Hunterdon Central Regional High School, the lead education agency, Delaware Valley Regional High School, and affiliated K-8 local school districts. Members also include Rutgers University, Raritan Valley Community College (RVCC), and other aviation industry experts. 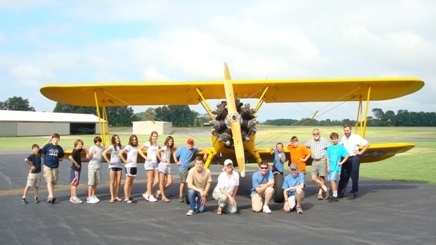 The collaborative brings together a diverse and highly experienced group of business and education professionals to use aviation-based STEM curriculum, and hands on activities available at a general aviation airport, to motivate and mentor students and faculty from pre-K through the University levels. Leadership training, aviation clubs, airport engineering orientations, early-college education credits, scholarships, summer camps, internships and even building an experimental aircraft, are examples of programs to be offered through this collaborative. “This grant provides an extraordinary opportunity for working collaboratively with our local airport and providing learning and leadership training for students and faculty”, says Lisa Brady, Hunterdon Central Regional High School District Superintendent. “Alexandria Field will be the living laboratory for many of the programs funded by this grant”, says Ms. Castner, Program Director and part owner-operator of Alexandria Field Airport, located in Pittstown, NJ. The DOT grant provides faculty at the two high schools, Rutgers and RVCC the opportunity to participate in Leaders Take Flight ®, where they will receive training and confidence building that can be translated into improving STEM education in the classroom. Six female students from each high school will participate in Women Take Flight ® workshops. Outcomes of the programs and workshops will be shared with participants and recommendations will be made for how to sustain and strengthen the programs funded by this initial grant. It is anticipated that the Office of the Program of Women in Science, Engineering and Math program at Rutgers University, in addition to the Aviation program at Auburn University, will use the leadership workshops to strengthen teaching, and attract and retain more young women into STEM related programs. A Kick-Off event for the Central New Jersey GAMTTEP Education Collaborative is open to the public and scheduled for Saturday, November 13, 2010 at Hunterdon Central Regional High School in the auditorium from 10AM until 12Noon. It will be followed by an Open House at Alexandria Field airport from 1PM until 3PM featuring aircraft of all kinds.